Today's Name of the Day is the boy name Everett. This is an English variation of the German name Eberhard meaning "brave as a wild boar." This is a name that is quickly climbing back up the popularity charts. If you go by rank alone, Everett was at its peak in 1906 with a ranking of #81. In 2012 it ranked at #214 which is up from #534 in 2005. 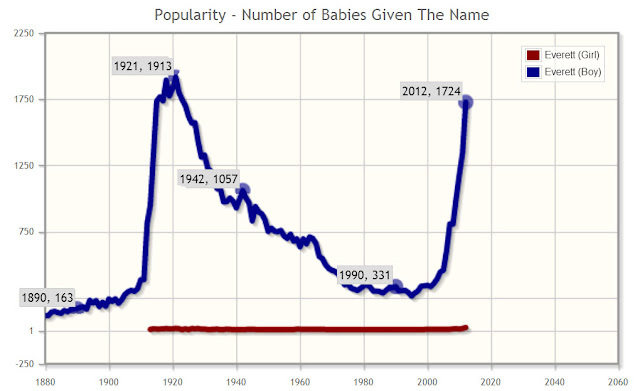 If you go by the number of babies born each year, there are two notable peaks in usage. The first is in 1912 when the name shot up with 424 births more than the previous year. Then it really spiked, averaging 1,500 or more babies every year from 1914 until the early 1930s. Then it started to decline until it started gaining momentum again in the mid 2000s. Its new highest peak is in 2012 when there were 1,724 boys named Everett. This name has cute nickname options such as Ever or Rhett. 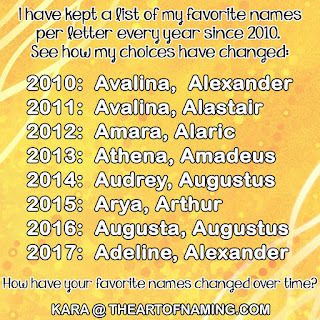 I believe Everett's rise in popularity in the past few years is because of similar trendy girl names Eva and Ava and their variants. Many parents view the crisp V sound as stylish. However, there were 21 girls given the name Everett in 2012. As for the history of the name Everett, it came from the English surname Everard which was introduced to England by the Normans. 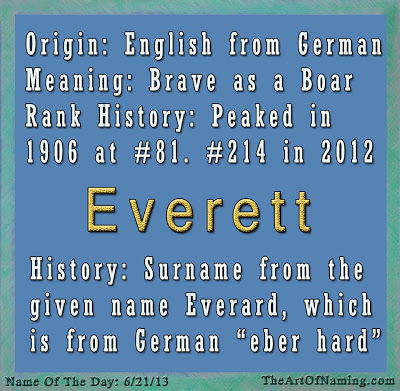 Everard has Germanic elements to it such as "eber" meaning wild boar, and "hard" meaning brave or hardy. 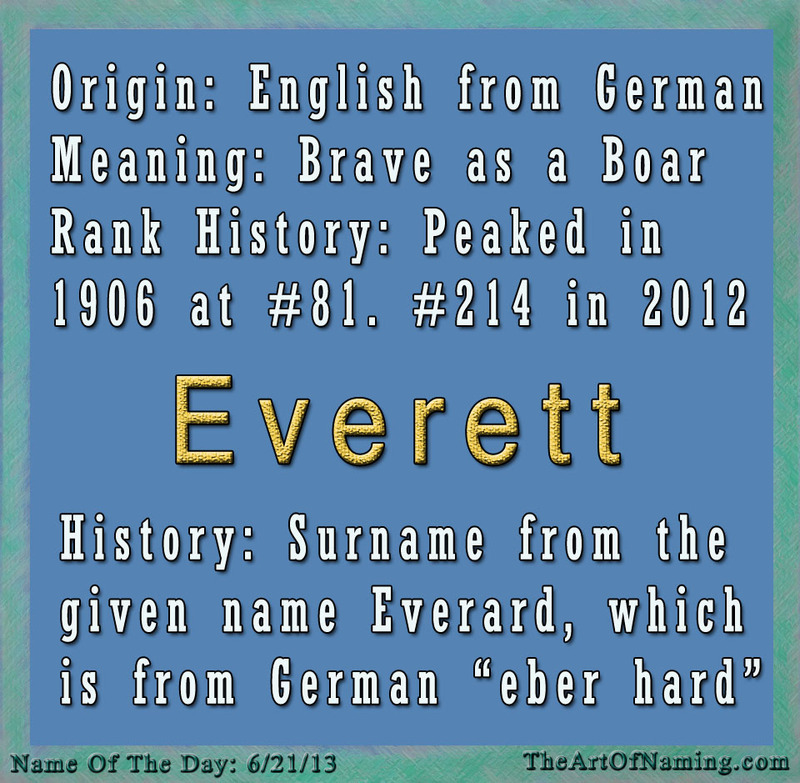 This name has rarely been used since medieval times, but Everett is clearly gaining popularity in the modern world. What do you think of the name Everett? Is it on your list or do you prefer similar name Emmett instead?